A Mobile Application for Transportation Management and Trip Planning in Rural Sarawak, Malaysia. 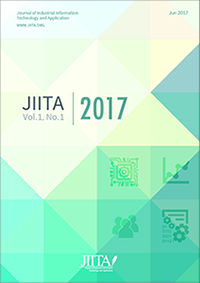 (JIITA) is an international academic open access journal which gains a foothold in Asia and opens to the world. It aims to promote the integration of machine learning and computing. The focus is to publish papers on state-of-the-art machine learning and computing. Submitted papers will be reviewed by technical committees of the Journal and Association. It’s my honor to take on the position of editor in chief of JIITA.